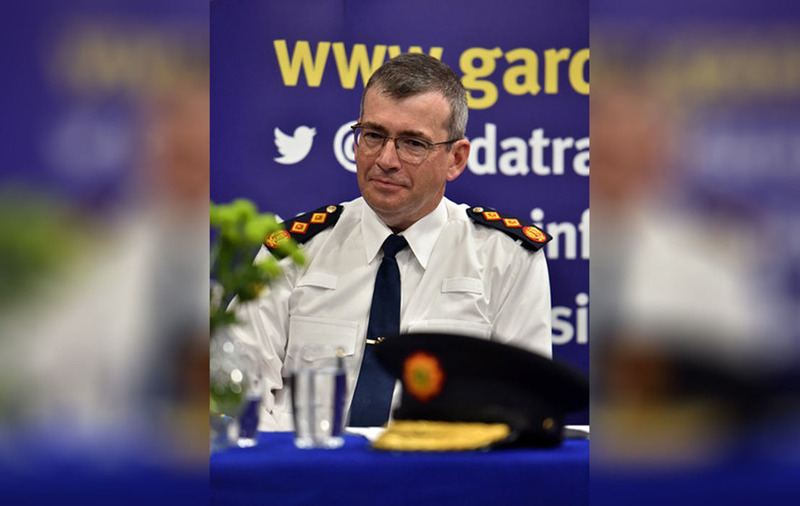 New Garda Commissioner Drew Harris has said protecting the vulnerable and making the Garda a more transparent force will be his top priorities as he started the job on Monday. The 53-year-old spoke following his attestation just after midnight in a private meeting at Kevin Street Divisional Headquarters in Dublin. 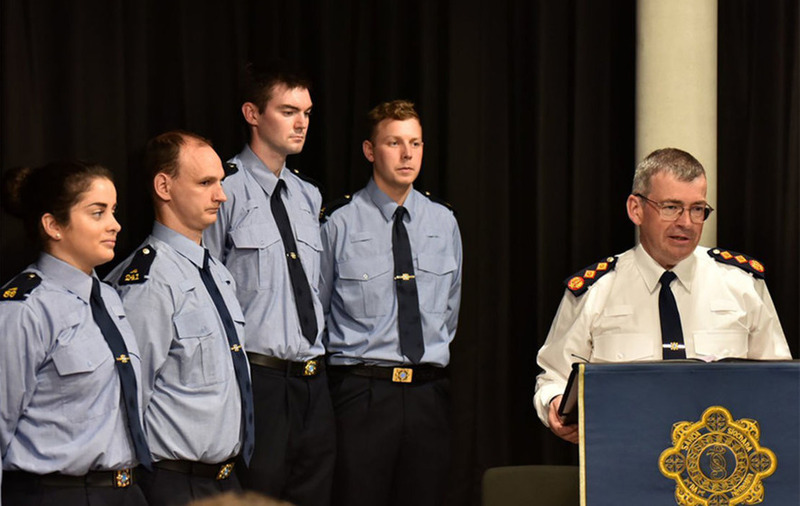 "I am very honoured and privileged to have become Garda Commissioner," he said. "Throughout its history An Garda Siochana has played an important role in Ireland. Its focus on community policing has created strong bonds with the people. "I will be particularly focused on ensuring that we do all we can to protect the vulnerable. "I know at first hand the commitment, dedication and sacrifice that has been made by members of An Garda Siochana in securing the state, particularly from the threat of terrorism. "This has saved lives and protected communities on both sides of the border. "That work must and will continue to be a priority for the organisation and me as Commissioner. "We need to move quickly to adapt to a changing society to ensure that we are strongly positioned to protect the state, communities and the vulnerable. "We will deliver to the highest possible operational and ethical standards, improve our systems, processes and training so our people have the right tools and skills to do their job effectively. "We will have a workplace of openness and transparency, of equality of opportunity, and of management at all levels speaking with and listening to the people they work with. "We will be more open to concerns raised internally and externally. "Most critically, people in An Garda Siochana are fully committed to ensuring the organisation develops to meet the needs of society. "This is a strong foundation from which to build on." Mr Harris said he wanted to have his attestation at the first possible minute as he wanted to start the job straight away. 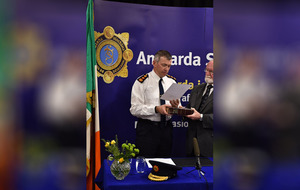 He added that An Garda Siochana is a 24-7, 365 service and it showed the connection between the leadership of the organisation and members on the front line. 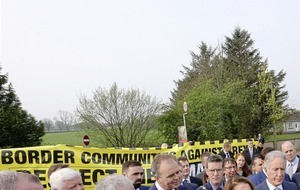 Mr Harris also referred to the concerns raised when he was chosen for the role due to his previous experience in the RUC and his oath of allegiance to the Official Secrets Act of the UK. "There has been some talk about my team," he said. "An Garda Siochana is now my team. It is my responsibility to lead the organisation and I very much look forward to working with all Garda members, Garda staff and Garda reserves to provide this country with the high-quality policing and security service it wants and deserves." Speaking at the attestation, Deputy Garda Commissioner, Policing and Security, John Twomey welcomed Commissioner Harris's vast experience to the role. 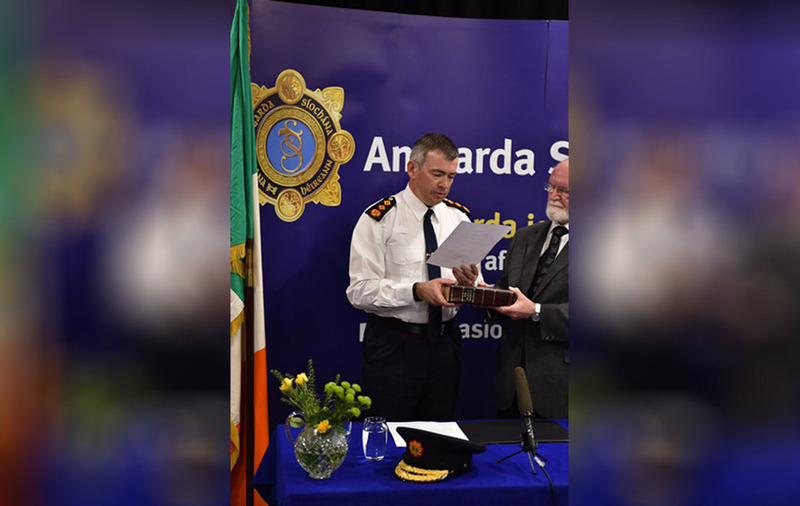 "On behalf of An Garda Siochana, I would like to welcome Mr Drew Harris to An Garda Siochana as Commissioner. "Throughout his career in his different roles, he has always shown a great concern for the protection of the vulnerable and for promoting the very important role that police services have to play in doing this. "I want to wish Drew all the best as Garda Commissioner and let him know that the organisation is here to support him and work with him to make Ireland a safe place to work, live and visit." 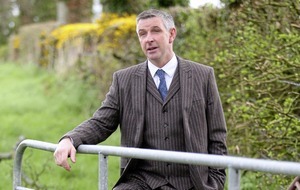 Mr Harris had been PSNI deputy chief constable for the past four years. 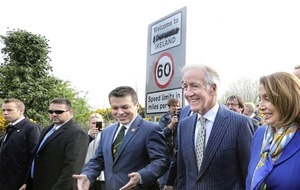 He has now relinquished his sworn oath to serve Northern Ireland and the United Kingdom, and has switched allegiance to the Garda and Republic of Ireland. Mr Harris has also applied for an Irish passport.